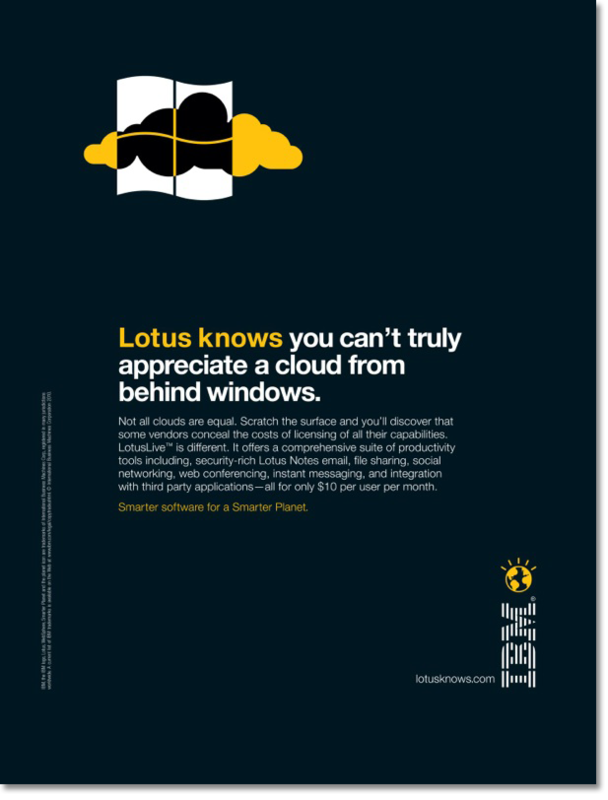 Lotus is far more than just email. It is a superior collaborative, real-time platform that enables people to excel at the work they do. 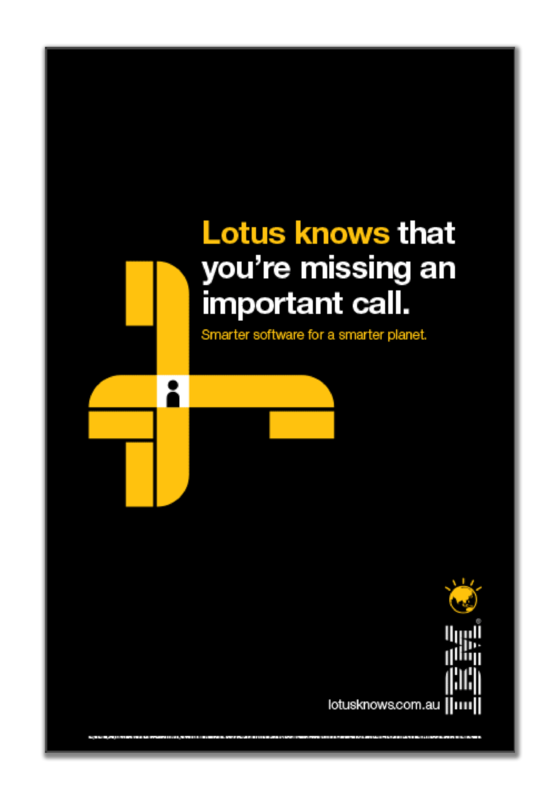 Trouble is, not many folks beyond Lotus users know it. Our assignment was to create a global platform aimed at sharing that truth in digital and digital out-of-home, print and video. 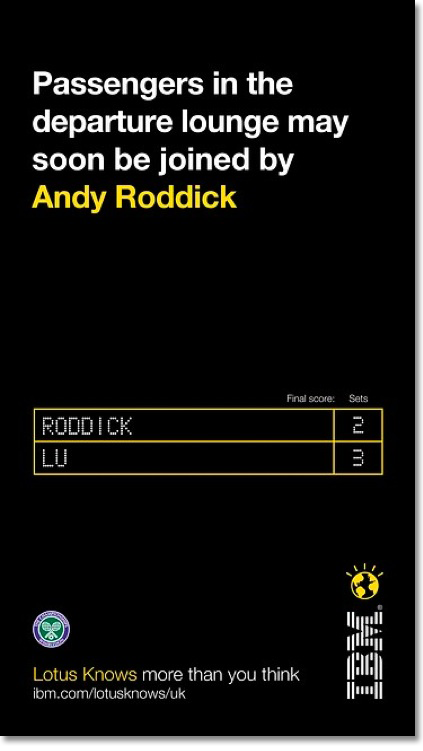 This initiative won a bronze One Show award, a bronze Cannes Lion and was featured in the D&AD book. 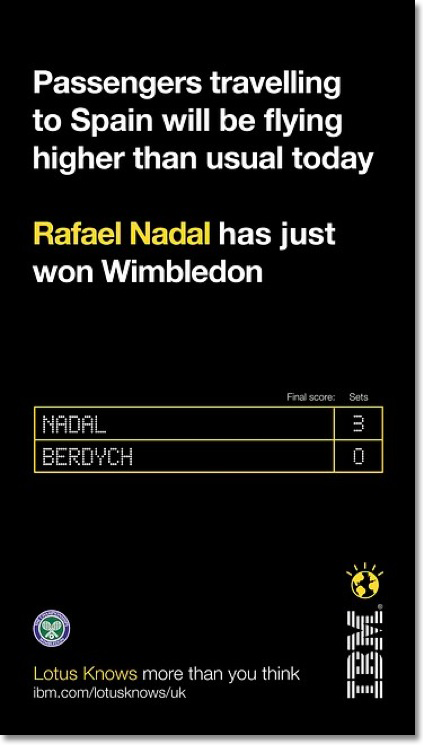 By fusing Heathrow’s air traffic control data with Wimbledon match scores and stats, we provided customized messages for each individual flight and demonstrated yet more information Lotus knows. IBM keeps tennis fans in touch with the latest play from Wimbledon as busy airport passengers follow Grand Slam hopefuls on digital flight screens at Heathrow Terminal 5. These banners featured streaming live data.